Rattling about inside the Robert F Kennedy Memorial Stadium, DC United clearly look out of place. 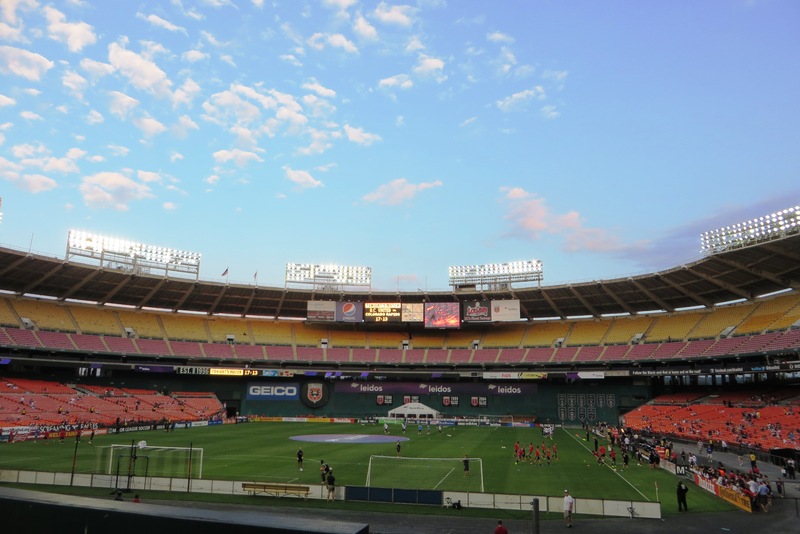 There is no doubt they have an exceptionally talented squad, nor that their passionate fans want to take the club forward but in Washington, football – and I mean soccer – still feels like “the other sport”; a distant cousin. Host to some fantastic matches at the 1994 World Cup finals, the colossal RFK Stadium is situated east of the city centre, in a spacious, purpose built setting, with great transport links. It’s big enough to cater for any capacity gridiron crowd however, unfortunately when the Redskins moved out in 1997, what remained wasn’t really made perfect for MLS. 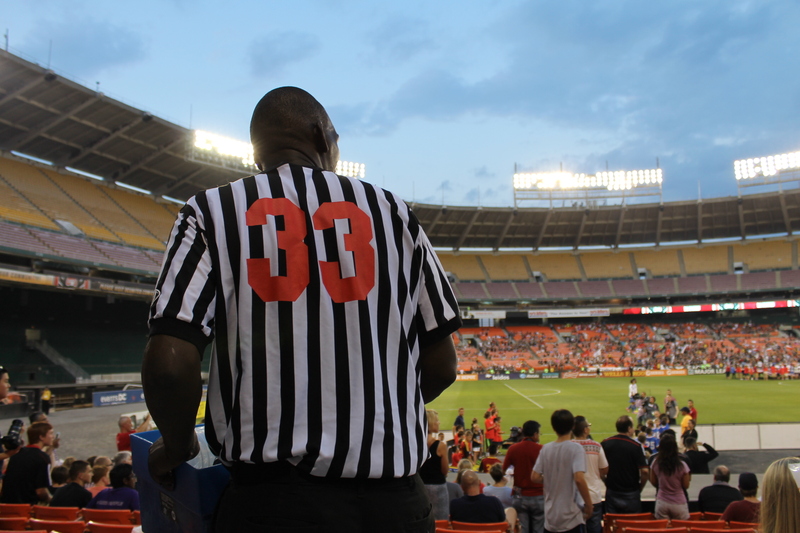 In fact, it’s hard to see that much has changed since the NASL – North American Soccer League – last put is its professional roots down in the capital. 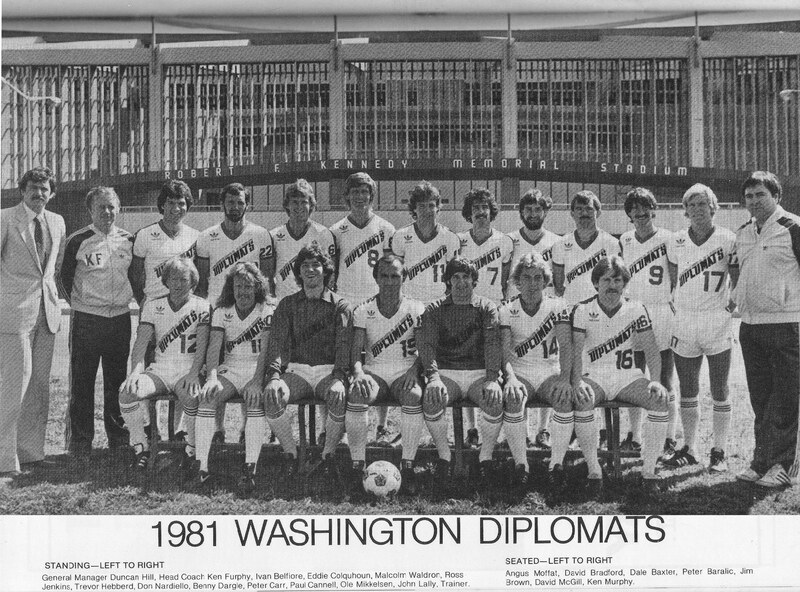 Back in 1981, the very last NASL incarnation of the Washington Diplomats graced the RFK Stadium. Though the original NASL Diplomats side had folded a year earlier, in the close season of 1980, the Detroit Express relocated to DC and renamed themselves after their predecessors. With attendances slipping away, what followed was a single high profile season, sadly finishing without any great success. Recounting the side Ken told me “We had some good players, and also had a tremendous victory over the Cosmos, at a home night game, that had something like 35,000 fans at.” By coincidence it was against NY Cosmos that season, that Ross Jenkins would score what he has since described as his “best goal ever; a half volley from the edge of the area”. In a lengthy conversation about American soccer back then, Ross explained how the games were “not as strenuous” which afforded him the time to “blow the cobwebs away”. 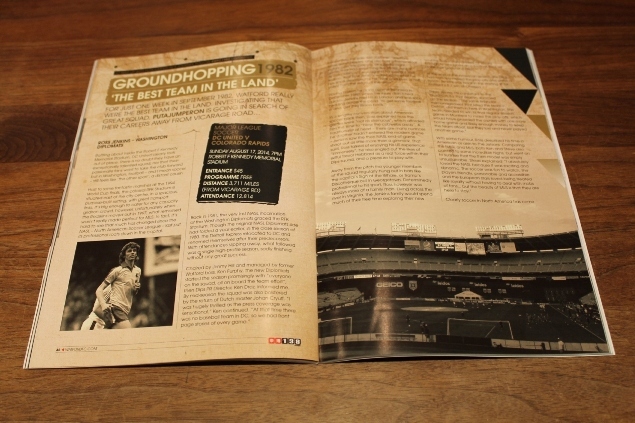 A traditionalist at heart – there are many nuances he’d rather hadn’t entered the modern game – Jenkins saw the then NASL end-of-game shoot-out as little more than a gimmick. 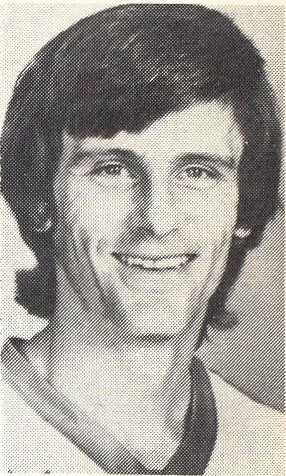 That said, Ross talked of enjoying his US experience “immensely”; he also singled out the likes of skilful Trevor Hebbard as a real force within their Dips squad, and a pleasure to play with. At the end of the American season, the Dips had narrowly missed the play-offs and within a month Jenkins was back in the starting eleven for Watford’s 3-1 win at Chelsea. Clearly soccer in North America has come a long way since Ross’ rehabilitation; youth coaching has doubtless improved but, the question now is have Joe public really embraced it? 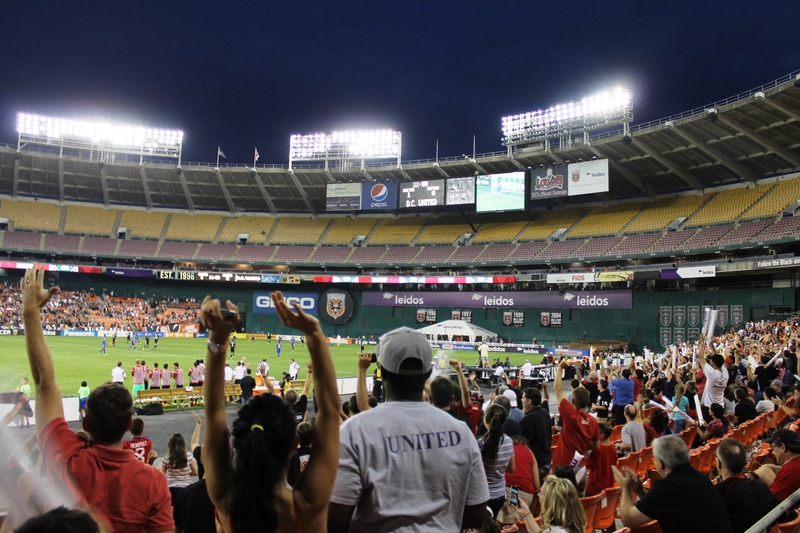 Like Ross I wouldn’t have wanted to find out without my family so, settling into our seats in the RFK Stadium, my son Nicolas and I engaged in an evening game of spot the difference. With little riding on the game, the crowd was much smaller than usual however; across the pitch from us, a boisterous ultra-style crowd weren’t going to let anything dampen their spirits. They began the evening unfurling a banner reading “EVERY WASHINGTONIAN DESERVES A HOME” and concluded by singing devotedly throughout the next ninety minutes. 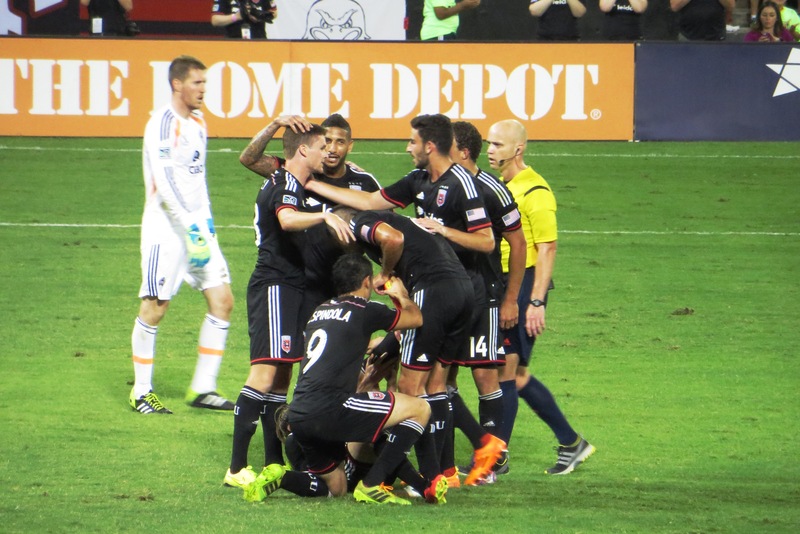 In return, DC United repaid them with a fantastic winning performance. With Talon the mascot dancing atop the old dugouts, the home side were one up within 15 minutes. Luis Silva slipped his marker and collected a superb defence-splitting through ball. Cutting inside the last defender, he then coolly chipped the keeper. With every other chance of the half spurned, the heart-warming interval saw former United star, Clyde Simms – who retired due to kidney disease – campaigning for the National Kidney Foundation. Once the tractor watering the playing surface behind Clyde had finished its business, the teams broke from their huddles and renewed hostilities. Six minutes in – whilst Nicolas distracted me with food requests – Dillon Serna stole in and equalised for Colorado. Convincing everyone about us the lead had been restored, when almost immediately, Silva hit the side netting. Some divine skill soon saw Fabián Espíndola strike the crossbar with a deft lob and, Silva was flagged fractionally offside before driving the ball home. As fierce complaints rang out about us, across the way the reaction was even more animated. Dead rubber or not, this game clearly mattered to the home support. Sean Franklin then first shot wide before – moments later – setting up Silva for his second of the night. With the end-to-end game really hotting up; ten minutes from time, persistent Taylor Kemp beat three down the left before driving a low ball across the penalty area for the onrushing Chris Rolfe who, sliding in with enough force drove the ball home, gave himself such bad cramp he was soon substituted off. In the dying minutes, Espíndola hammered home a fourth in on the break and saw his next effort well saved by Clint Irwin, before a back post header from visiting Deshorn Brown brought some parity to the score line. Eventually turning to leave, we noticed on the wall to our right, plaques reminding us all of the rich yet short history of this MLS club. Amongst other silverware, having won three of the first four MLS Cups, the foundation for this Washington club couldn’t have been better. Debating our experience on the train back to our hotel, it was acknowledged that the food sellers and constant conversations about certainly made this soccer game closer a baseball experience than those of the Baseball Ground however, to the loyal soccer fans inside the RFK Stadium, DC United matter. Soccer in the US is no longer a game of gimmicks and glamour but more one of familiar sporting endeavour where chants were sung with gusto, tactics debated in bars and, the chap at the counter understood the importance of us having a real ticket to keep. 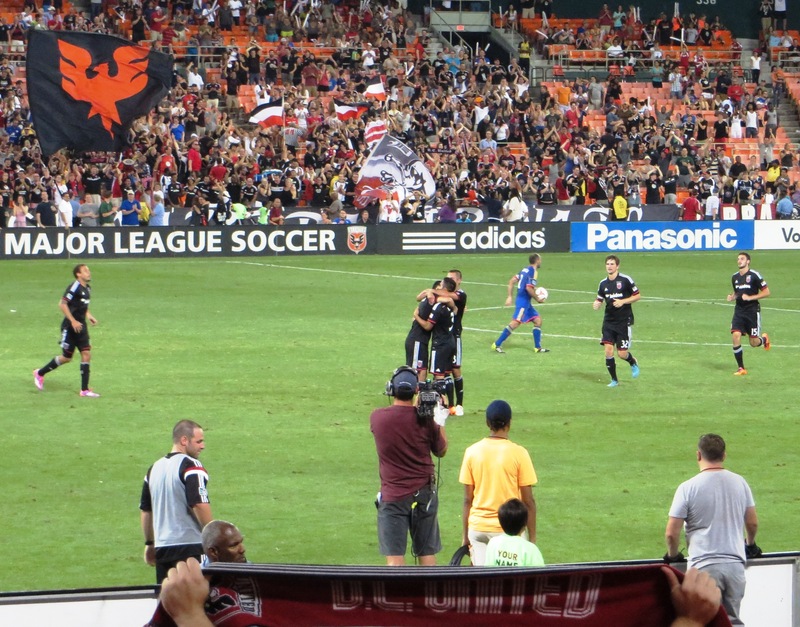 One truly hopes DC United can soon find their own home and build on from there… if nothing else their fans, players and staff deserve it. 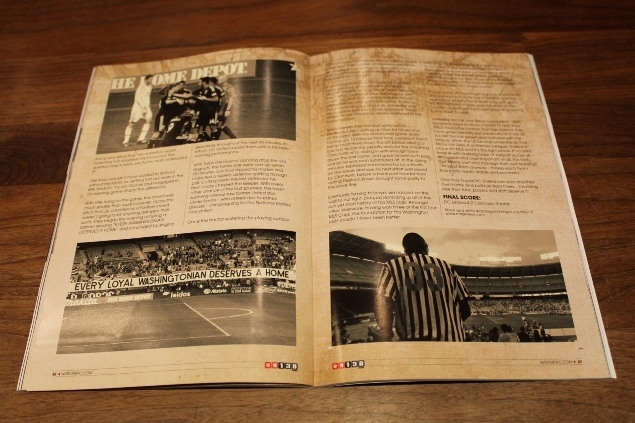 This entry was posted in #WFC1982, 2014-2015, Major League Soccer and tagged #WFC1982, Clyde Simms, Colorado Rapids, DC United, Detroit Express, Major League Soccer, MLS, NASL, National Kidney Foundation, North American Soccer League, RFK Stadium, Ross Jenkins, Washington DC, Washington Diplomats, Watford FC. Bookmark the permalink.